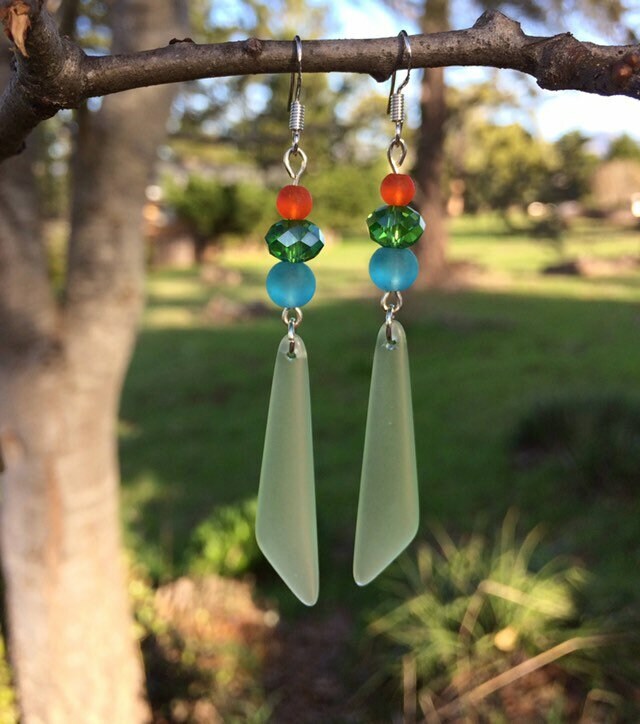 Sea glass earrings are so soft, feminine and just plain pretty! These are a lot of fun! These gorgeous, sweet earrings are a fun shape with beautiful accent colors and Swarovski for a touch of sparkle. They are 2 1/2" long.